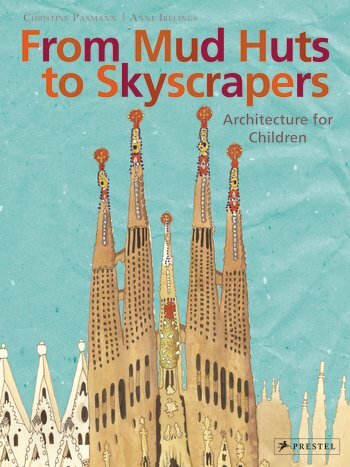 Filled with colourful architectural drawings and engaging texts, this history of architecture for children is a great way to introduce young readers to the subject. Children will be utterly absorbed by this journey through the history of architecture, from the earliest mud huts to today's soaring towers. Chronologically arranged, this large-format book gives each iconic building its own double-page spread featuring an exquisite watercolour illustration and clearly written descriptions, facts, and features. These vibrantly detailed pages are filled with people, animals, and other objects that help bring the buildings to life. A detailed appendix includes a timeline, a world map that points out where each building can be found, and an extensive glossary. 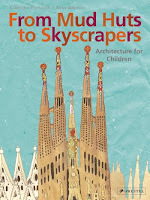 Children will enjoy poring over this book - and will come away with a fundamental understanding of not only the most common architectural terms, but also of how the built world has evolved marvelously over time. Another beautiful book, that has the combination of beautiful illustrations you would expect to see in a picture book, and simple and clear information you'd find in a non fiction title. The book is set out in chronological order, so it begins with the move from caves to house and explains how people learned to live indoors. It shows that from 10,000 BC builders decided to press mud between the spaces in branches, and this is how the first solid houses were built. There's information on the pyramids both the why and the how. The Greeks, and how their architecture is linked to religion, and the ancient Romans who had little time for stylish architecture, and borrowed from the Greeks. The book follows all styles of architecture through Baroque, Gothic, Art Deco and Bauhaus up to iconic buildings like the Sydney Opera house, and the Bird's Nest stadium in Beijing. There is even a look at buildings of the future and how Eco-architects feature environmental features in their designs. There seems to be a real push for greenery to be part of the designs, becoming one with the environment. I like that how the information is set out in this book. There's a short introductory paragraph to each period and there are dot points relating to particular points on the illustration to highlight extra information.